Leading lady opposite Shahid Kapoor in Batti Gul Meter Chalu to be announced soon! KriArj Entertainment’s next collaboration with Toilet: Ek Prem Katha director , Shree Narayan Singh, has been a subject of heated discussion ever since the film was announced. 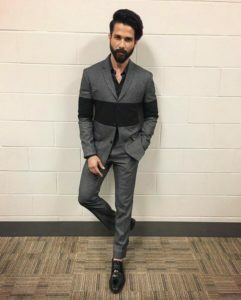 While Shahid Kapoor has been signed as the lead in the socially relevant drama, Batti Gul Meter Chalu , there has been ample speculation around the actress to be cast in the film. Though several names are being thrown around, official sources clarify that contrary to rumors, the leading lady is yet to be finalized. After the riveting success of Toilet:Ek Prem Katha, KriArj Entertainment reunites with director Shree Narayan Singh for Batti Gul Meter Chalu, a lighthearted but impactful social drama that every Indian citizen will relate to. The film is scheduled to release nationwide on August 31st, 2018. Stay tuned we will announce the leading lady as soon as we know so watch this space and for all the Batti Gul Meter Chalu news! 15 queries in 0.378 seconds.